Is the future of data center cooling in liquid? As the old adage goes, if you can’t take the heat, get out of the kitchen. Modern data centers, increasingly equipped with the latest and greatest computing hardware, are noticing subsequent temperature increases, begging the question -- is air cooling, the tried and true cooling method relied on for decades, enough to keep up? Or is it time to finally ‘get out of the kitchen’? 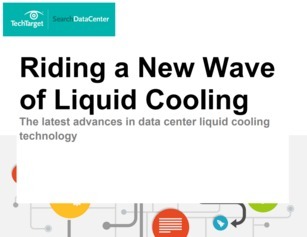 Inside this expert guide, discover what many are calling the ‘next generation’ of data center cooling – otherwise known as liquid cooling. But just how viable is it?